Get ready for an amazing trip with these cruise deals from Miami! 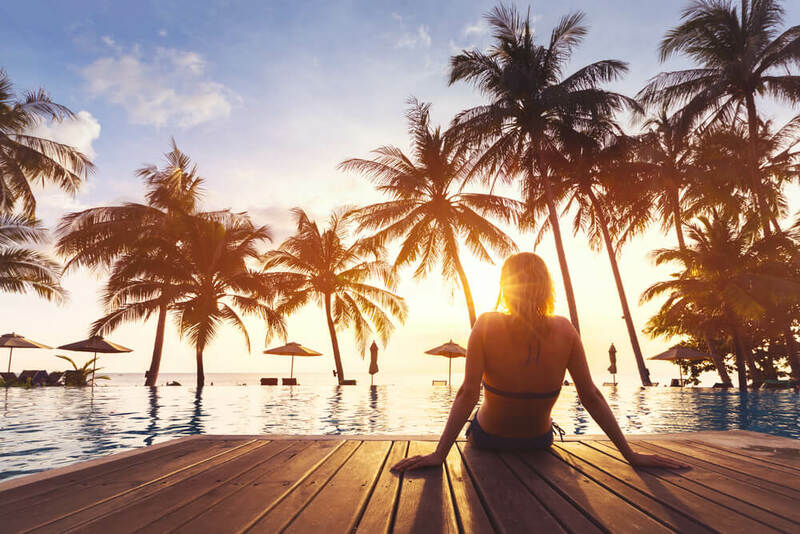 Miami is one of the most popular vacation destinations, and when you couple that destination with cruise deals from Miami, you are looking an at amazing trip. Arrive in Miami a few days early and enjoy the trendy South Beach nightlife. Check out historic Coral Gables, the Art Deco district, Little Havana, and Coconut Grove. Want a little exercise before you leave on you cruise? Hit the gold links or a tennis court. You’ll find art shows, great dining, wine extravaganzas, and much more in this city that’s considered to be the world’s busiest cruise port. Click here to browse our sailings out of Miami. I just wanted to thank you [Jeremy] for the wonderful trip that you arranged for us, there is no way that it could have been more perfect. Perfect trip for our 50th Wedding Anniversary. Thank you so much. — Connie F.
We can help you find the best cruise deals from Miami at CruiseExperts.com. Visit the website or call us at 1.888.804.CRUISE (2784). You can get a cheap cruise from Florida, and we’ve listed some great spring, summer, and fall departures for you. Who doesn’t love the thought of a Caribbean cruise? Balmy breezes, soft sand beaches, crystal blue water, and waving palm trees greet cruisers at each port. Depending on the length of your cruise choice, the southern, eastern, or western option, and the cruise line, you may visit exciting and beautiful ports including Key West FL – Cozumel, Mexico – La Romana, Dominican Republic – Aruba, Caribbean – Curacao, Caribbean – Nassau, Bahama – Half Moon Cay, Bahama – Grand Turk, Turks – Philipsburg, St. Maarten – St. Thomas, US Virgin Islands – San Juan, Puerto Rico – Ocho Rios, Jamaica – Georgetown, Grand Cayman – Grand Cayman Islands – Havana, Cuba – Roatan, Honduras and Belize City, Belize. In addition to enjoying beautiful beaches you can visit and explore Mayan ruins in Cozumel, kayak in the Caribbean Sea at a Romana, take an ATV tour in Aruba, go zip lining in San Juan, St. Thomas, or Roatan, or immerse yourself in the Cuban culture of Havana. These are just a few of the opportunities you’ll have on an amazing Caribbean cruise out of Miami. Click here to browse our Caribbean sailings from Miami. For many people Cuba is a bucket list cruise. With some of the great prices available, you can find affordable Cuba cruises out of Miami. Imagine visiting this island that has been isolated for so long. The food, the music, the dance, and the people will take you back in time. See vintage cars driving through Havana, take a ride around the city in a classic car. There is so much to see and do, and the Cuban people are so friendly. Be sure to take lots of pictures in this island country. The cruise you choose, the route it takes, and the number of days it lasts determines how many port stops you’ll make and where they will be. Some port stops you may visit include Key West, FL – Georgetown, Grand Cayman – Costa Maya, Mexico – Grand Turks, Turks and Caicos – Belize City, Belize – Nassau, Bahama – Half Moon Cay, Bahama – Great Stirrup Cay, Bahama – CocoCay, Bahama – St. George, Bermuda – St. John’s, Antigua – Kralendijk, Bonaire, Dutch Antilles – Labadee, Haiti – Havana, Cienfuegos, and Santiago de Cuba, Cuba. There is so much to see and do in all of these ports. Exceptional dining, local shops, cultural activities, historic sites, and wonderful excursions planned by your cruise line will introduce you to the best sights at each port you visit. Click here to browse our Cuba sailings from Miami.